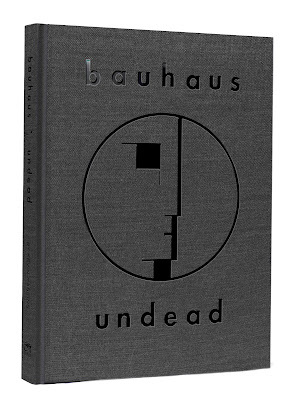 On Friday, Kevin Haskins (Bauhaus, Tones on Tail, Love and Rockets), will offer up his new book, Bauhaus – Undead: The Visual History and Legacy of Bauhaus via Cleopatra Records. While the physical version was not sent out to reviewers in advance, I can safely say, having seen some of the photos and artwork in the book, that fans of Bauhaus will love this one. 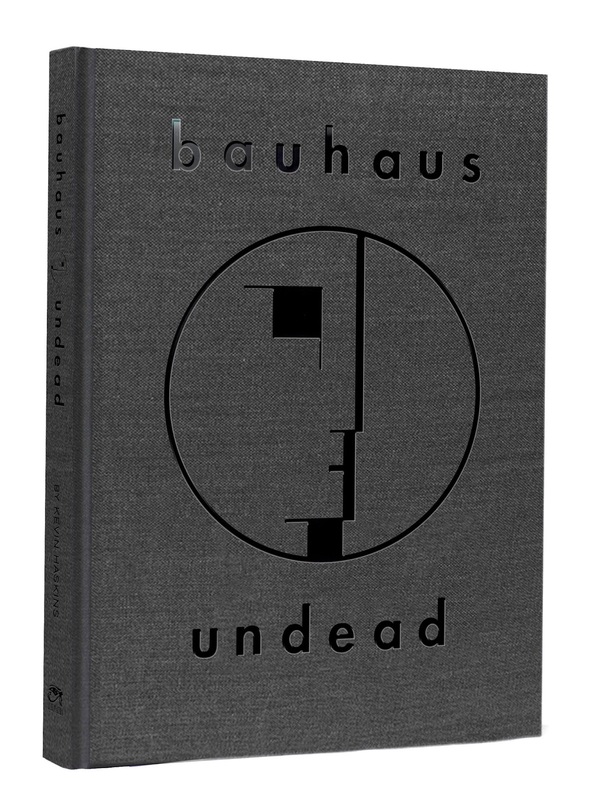 Lavishly-illustrated, Bauhaus – Undead: The Visual History and Legacy of Bauhaus is a rare look at one of the seminal bands of the post-punk era. Given his undoubtedly busy schedule this week in the run-up to the book's release, I'm grateful that Kevin Haskins took some time today to sit down for a phone interview with me here. "A good friend of mine, Matt Green at Cleopatra Records, knew I had a huge collection of ephemera and suggested I put this out," Kevin explained about the genesis of the book. The project, while all Kevin's, has been met with appreciation from the other members of Bauhaus (Daniel Ash, Peter Murphy, and David J, Kevin's brother), and they all "gave their blessing from the get-go, and they all sent really nice emails of congratulations." 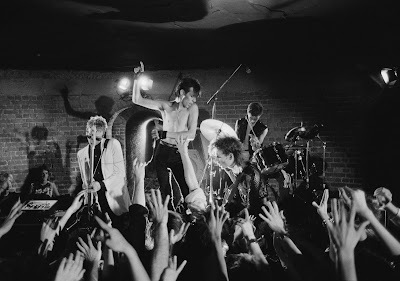 And while fans of the band might find that surprising, given that the impression is that the group split into 2 camps -- Peter Murphy, and the other 3 members of the band -- Kevin feels now more sanguine about those years, looking back with a sort of amazement at how easily the group came together in 1978 and progressed into a musical unit. 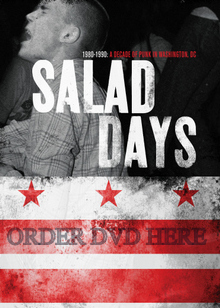 "The first song we wrote and recorded was 'Bela Lugosi's Dead' and it was kind of remarkable." As he explains, what listeners got with that single, "was basically our first run-through as a group, and that's what you hear on the record." 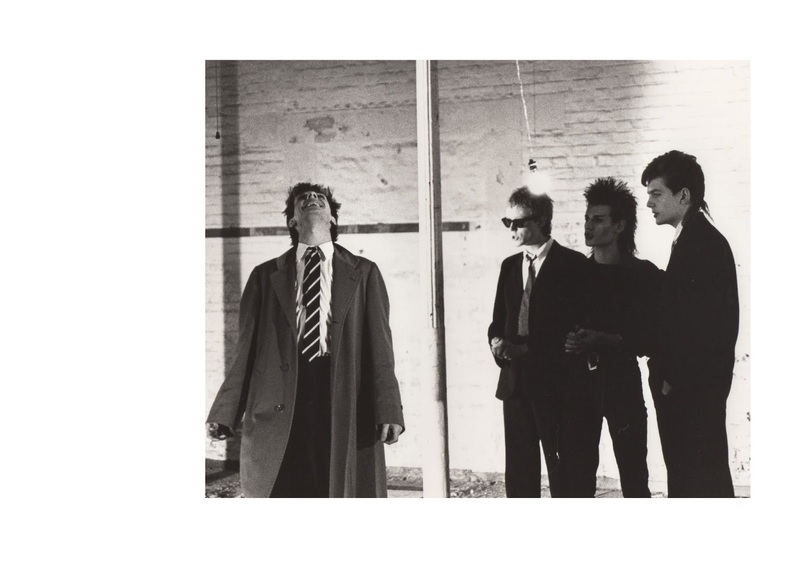 That single, and its appearance in the 1983 film, The Hunger, helped Bauhaus get labelled a goth band. "I don't think any band really wants to be pigeon-holed, but it's a natural thing humans do," Kevin recollects now. "We just felt that, you know, goth put certain parameters on things, and it puts you in a box," he says, "But we dressed a certain way, put out a song about a vampire, drove around in a hearse," he laughs. "But we were more art-rock," he suggests now. That picture up there from the book suggests a kind of schism in the band, a rift that one wonders might have lead to the formation of Tones on Tail (Kevin Haskins and Daniel Ash), and then Love and Rockets (Kevin Haskins, Daniel Ash, and David J), but Haskins now seems more realistic in his assessment of how things work in bands. "Daniel, David, and Peter all have very strong characters, and we all have egos, so, you know, there was a lot of friction all the time," which is "pretty normal in bands, and it's kind of why bands work, as it helps the dynamic of the band in a way." 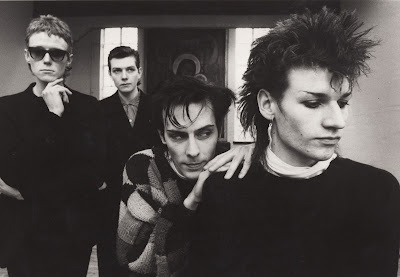 So Bauhaus disbanded and "David, Peter, and Daniel didn't want to carry on, but I did, and Daniel pretty quickly called me and asked if I wanted to play in Tones on Tail." 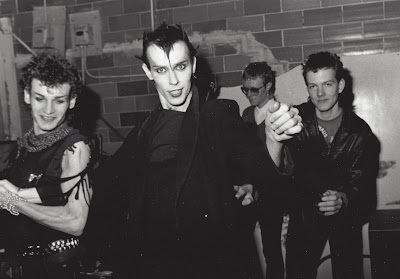 Tones on Tail seemed to be a harder sell for the loyal acolytes of the goth styles of Bauhaus, but the band's dance-y numbers, like "Go", earned them a whole lot of fans. "Tones on Tail was very experimental, and eclectic, with varieties of styles," Kevin recollects. "Each song had its own unique, distinct vibe," and as musicians, "everything went with Tones on Tail, whereas Love and Rockets had a more defined sound." Tones on Tail became, in a way, Love and Rockets once David J joined Daniel Ash and Kevin Haskins, and that band used a different approach than the earlier bands. 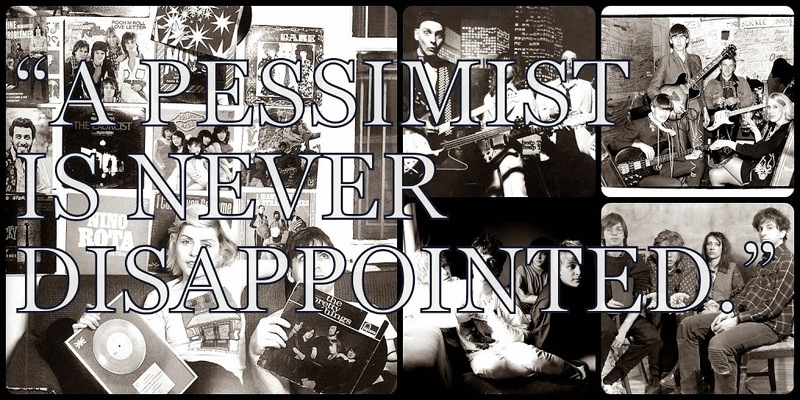 As Haskins explains, they didn't really start with a plan when approaching the creation of some of their records, like Earth, Sun, Moon (1987), but, as Haskins says, "We knew we wanted to do something different," and the result was the first of many stylistic shifts in the career of that fine trio. Now, that band, and Bauhaus have reformed and played shows and gone on tours, and tried to give fans what they want to hear. "The same way, when I go and see a band from back in the day, I don't want to hear reworked versions, so we try to make it as close to the records as possible, [and it's] like putting on an old glove, or boot, or whatever. And in some ways it feels like only a week ago we were playing all this back in the day." Kevin Haskins' newest project, Poptone, sees Kevin teaming up with Daniel Ash yet again. Daniel Ash and Kevin Haskins had been DJ-ing together and Ash proposed a DJ tour. At that point, Kevin said "'Daniel, instead of going to all that trouble to tour like that [as DJ's], why don't we tour [as a band] instead?'" So they are, with the addition of Kevin's daughter on bass in the band. I ended my interview asking a question suggested by my long-time buddy, Don. Now, when I worked with Don at the Record Co-Op at the University of Maryland, I estimate that he played the Tones on Tail CD at least as much as he played Truth and Soul from Fishbone, which is to say a lot. Don, who proudly recounts that his first CD purchase back in the mid-Eighties was the import disc of Seventh Dream of Teenage Heaven from Love and Rockets, said that I should ask Kevin Haskins, drummer for Love and Rockets, what his preferred format was when listening to music for pleasure. "Vinyl," Haskins said without a second's hesitation. 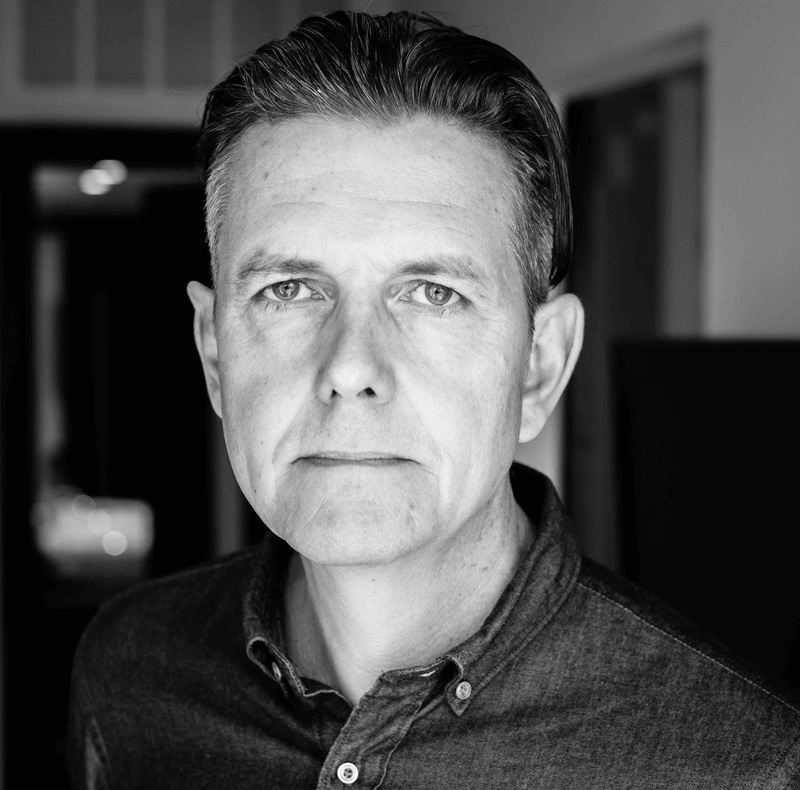 And while he admits that digital formats have made it easier and more convenient to listen to music, "I still have all my records and it's what I grew up with so..."
Bauhaus – Undead: The Visual History and Legacy of Bauhaus is out on Friday via Cleopatra Records and it looks like a must-purchase-sort of book. More details on Kevin Haskins can be found via his official Facebook page.